CANNES, France, June 20, 2018 /PRNewswire/ -- LivePerson, Inc. (Nasdaq: LPSN), a leading provider of conversational commerce solutions, has launched the official Cannes Lions Concierge with Apple Business Chat running on LiveEngage. The concierge service gives festival attendees an ultra-simple way to get quick help on any question they have, from a team of people and bots, using Messages on iPhone and iPad. A comprehensive, easy-to-use guide – just message the concierge with whatever you need. Humans and bots working in tandem — orchestrated by the LiveEngage platform, the concierge can handle anything. Accessible quickly and easily from Messages on iOS — no download or setup required. As brands develop their conversational commerce strategy, the Cannes Lions Concierge allows CMOs and marketing leaders to experience Apple Business Chat from the consumer's point of view, and understand the significant value of a personalized conversational commerce experience. "With the vast majority of Cannes Lions attendees using iOS, Apple Business Chat is the perfect solution for the concierge service," says Robert LoCascio, founder and CEO of LivePerson. "In March we helped leading brands Discover, Lowe's, T-Mobile and The Home Depot launch Apple Business Chat running on LiveEngage, so we're really excited to show these amazing capabilities to the whole marketing world at the festival. As brands retool their thinking for conversational commerce, Cannes is the perfect venue to offer them this window into the future." Apple Business Chat offers a powerful new way for consumers to connect with brands directly within Messages on iOS. Because Business Chat is built into iOS, it can let users know about any conflicts in Calendar or direct them using Maps. And with Apple Pay, users can pay with just a touch or a glance without leaving the Messages conversation. These features provide a wide palette of options to create innovative and delightful conversational experiences for customers. Adds LoCascio, "Conversational commerce is a huge opportunity for brands and marketers – I believe it's the biggest open opportunity in the digital universe. With Apple Business Chat, consumers initiate and control all conversations, so the smartest CMOs are thinking deeply about this new engagement funnel for consumers: first, give them a great reason to start a conversation, then deliver value inside the conversation, so they want to keep that dialogue open." For consumers, Apple Business Chat provides great benefits. They can instantly reach brands to ask questions, get support and make purchases, entirely within a rich message thread. It works on the consumer's schedule – they can jump into conversations anytime – and it's secure, making it possible to conduct private discussions and financial transactions. For brands, challenged with the high costs and difficulty of establishing deep consumer engagement in digital, coupled with the challenge of getting consumers to download and use apps, it provides a powerful new way to connect in a way that fits consumers' busy modern lifestyles. With Business Chat, brands can achieve the full potential of conversational commerce. Starting a conversation with the Cannes Lions Concierge is simple and intuitive. One-tap access is available on any iPhone or iPad running iOS 11.3 or higher, via direct URL, via the official Cannes Lions app in the App Store and on the festival website at www.canneslions.com. 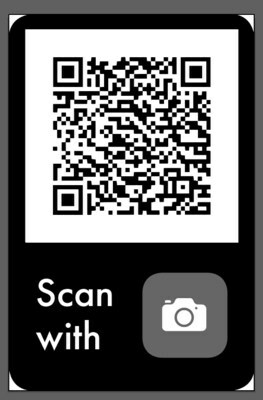 In addition, QR codes throughout the main venue, the Palais, and distributed on cards throughout the week will let attendees initiate a conversation using the Camera app on iPhone or iPad. Those interested in learning more about the official Cannes Lions Concierge are invited between 10am and 12pm to Cannes Lions Press Center (inside Palais des Festivals et des Congrès), and between 1pm and 6pm to the LivePerson yacht (map) to get a behind-the-scenes look at the concierge service.